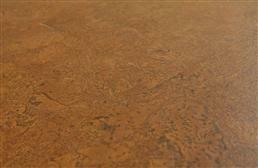 Floating cork flooring is a beautiful and eco-friendly flooring option for virtually any space. 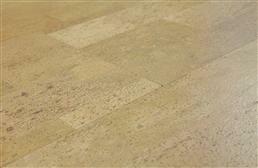 Cork floor tiles are the perfect option for floating floors with a natural look. Cheap cork flooring is definitely an option and is not reflective on the cork flooring durability or longevity of the floor. cork tile flooring is safe for installation in the home as a cork flooring kitchen, bedroom flooring, eco-friendly family room flooring, home office floors, studio flooring, waiting room flooring, and more. 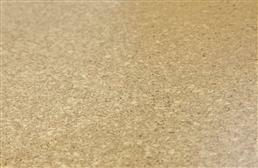 FlooringInc.com offers eco-cork options from multiple brands, including USFloors cork products. Cork comes from the cork oak tree, which is harvested for its bark, rather than traditional hardwood flooring that has the entire tree cut down in the process. One cork tree typically lives up to 250 years, and is able to be harvested multiple times throughout those years without killing or taking the tree down. The bark grows back and is then harvested again years later. This means that cork is an eco-friendly product, has little damaging and non-toxic effects on the environment, and is a sustainable resource. This is the essence of the ‘green living’ movement. Once the bark is removed from the cork oak tree, it is then made into things such as bottle stoppers, cork wall boards for dorm rooms, and wedge heels. Our favorite use for cork is in flooring, and this actually comes as a by product of the waste from the bottle stopper industry. I know, the idea of cork flooring sounds super squishy, strange, and unreliable. 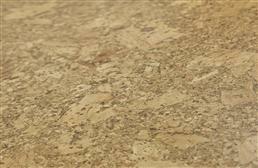 However, the manufacturing process of cork flooring creates a much stronger and more durable tile than you would think. 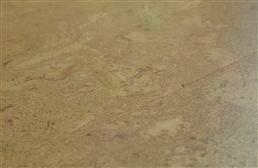 Cork flooring also has a wear layer to further protect the flooring, ours have ceramic wear layers. Now, it is still similar to other wood floors where scratching or heavy denting can damage the surface, but cork naturally has a bit of a “bounce back” which helps to fill dents back in and look less obvious. The use of cork as flooring is actually not a new or modern idea. Cork floors have been in use for over 100 years in many high traffic commercial spaces, such as the Library of Congress for example. The difference is that the modern cork flooring has been engineered with new layers as well as new looks and styles introduced to the market. Cork flooring thickness is really only important if you are trying to match up the height of your new cork floor to the height of one that it is butting up next to. Having floors of similar heights determines which trim piece you need to buy to lessen tripping hazards between floors. If two are the same in height, a T-Molding will perfectly hide the expansion line where they come together. If one floor is shorter than the other, a Reducer will create a nice taper to the floor. Like other wood floors, cork flooring is not ideal for installation in areas which are moisture prone and where water would sit on the floor, such as a full bathroom. Preparing for installation, proper acclimation is important - let your flooring exist in the environment for at least 72 hours prior to installation. Your cork planks will need to become adjusted to the humidity and temperature in which it will now be living in. To do this properly and without stacking the boxes, fully open the cartons and unwrap them from all packaging to ensure proper adjusting period. All of our cork flooring currently is installed through a click/interlock method and is easy for all levels of DIYers. Our cork tiles and planks are designed to be installed as a floating floor that is not permanently glued to the subfloor. This means that each piece of flooring actually locks together with the others in its row and around it, creating a secure and locked flooring field. This also means that it is not a permanent floor, and so you could essentially take the flooring with you if you ever were to move. As we have mentioned above, cork’s construction makes it vulnerable to moisture. It is very important on any concrete subfloor that it is treated with a moisture barrier before your planks are installed to help stop that moisture from coming up through the concrete and creating a flooring nightmare to come true. All of our cork flooring products come with a cork underlayment attached (cork on cork... It’s a win-win!). This helps to reduce some financial burden as well as extra time during installation of dealing with underlay separately. Underlayments are beneficial and help with noise reduction while providing added warmth underfoot. If you should have any further questions, comments, or concerns, please do not hesitate to contact one of our friendly Product Heroes at (866) 416-6388.